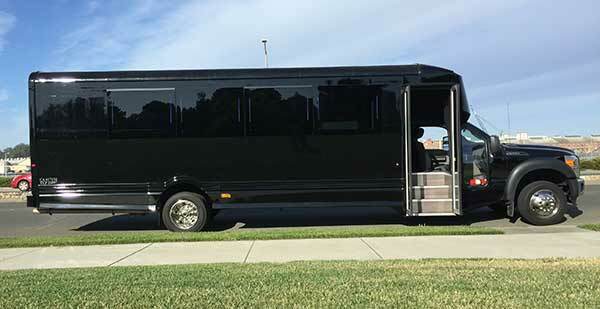 The Executive Shuttle Bus (Limo Bus) is a shuttle bus taken to the Nth degree. Executive Shuttles feature the power of buses while having the highest quality of amenities featured in Limousines and Party Buses. These, however, are designed for ferrying large parties in absolute comfort. From ultra-plush “Captain’s” chair bucket-seats with all of the leg-room of a business-class airliner, to the amenities ideal for a corporate outing such as a large flat-screen and surround sound system for presentations en-route to the bar and other necessary elements for relaxing and enjoying your ride. They also feature comfortable bathrooms which make longer trips easier while also featuring tech-features from plugs for laptops and chargers for other electronics. As always the entire cabin is climate controlled with a roof-HVAC system for the perfect temperature at any time of the year. 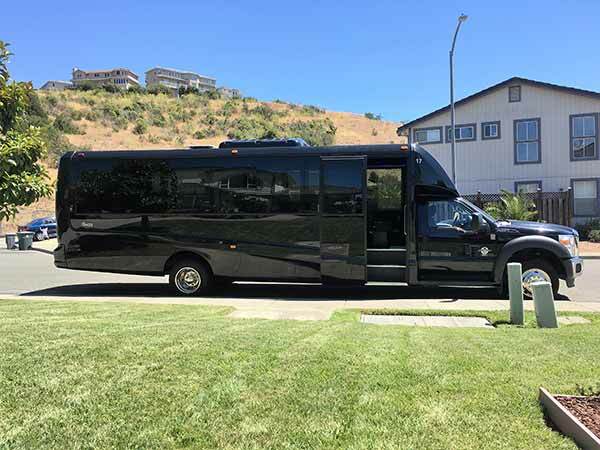 It is ultra modern and sleek, perfect for any group celebration accommodating up to 24 passengers in luxurious wrap-around limo seating with a drink cooler area in the rear while you have forward facing luxury reclining seats in the front of the bus. 2 tables near the front of the bus make for a perfect meeting or work space as well. Rounded off with wood floors, ample headroom while standing and easy access getting in and out. 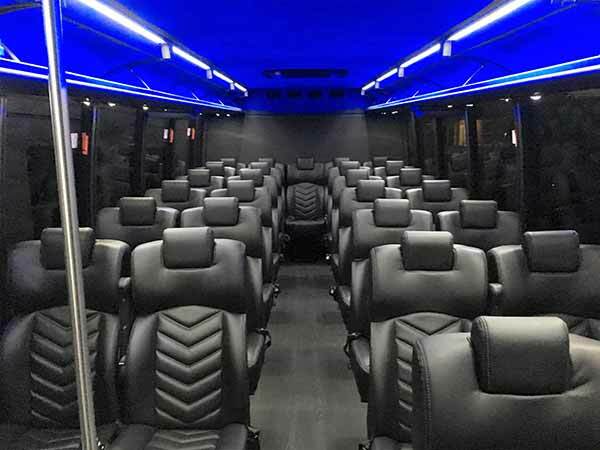 This executive limo bus is fully-loaded with the latest technology including 2 large flat screens, Bluetooth/iPod connectivity, sound system and ambient lighting. This Limo Coach is as versatile as it is beautiful. This is the best limo I have encountered! On time, and the limo was spotless! Good driving is very important, and Kevin was safe, friendly, and professional. He is an asset to the company. I will tell all of my family, friends and colleagues if the need arises and a limo is required, use Million Services! Kevin informed me they can accommodate whatever you need!